Welcome to Mills Pallet Inc providing pallet service and products throughout Chicago. Mills Pallet Inc is one of the premier pallet manufacturers and recyclers in the Chicagoland area. For more than 40 years, we have been providing Chicago and national customers with exceptional service and products that meet their pallet needs and exceed their customer satisfaction expectations. We offer a wide range of pallet options and services including new & used pallets, custom pallets, standard size pallets, recycled pallets, re-manufactured pallets, pallet recycling programs, cardboard and plastic recycling programs, drop trailer programs, and pallet management programs that are customized to your business’ requirements. Our dedicated professionals have decades of experience and are trained to provide you with the solutions you need – at the price you deserve. 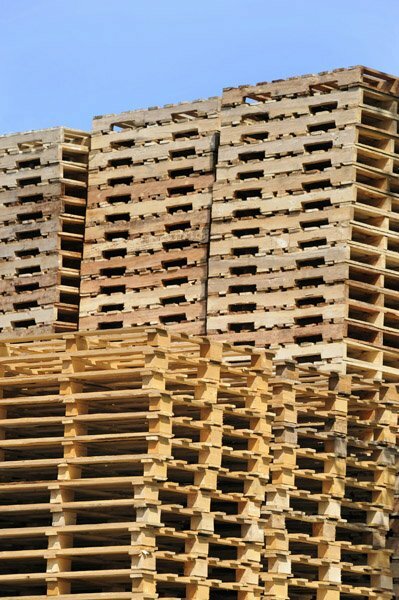 When you are in need of quality pallets, we are the company to call. In the meantime, feel free to take a look around our site to learn more about what we can offer you. If you have any questions, comments or would like to speak to one of our experienced customer representatives, please don’t hesitate to contact us at any time. I must say this is the best experience I've had with a pallet company. The communication is awesome. We have never missed a deadline since purchasing pallets with Mills Pallet keep up the good work. We've dealt with Mills Pallet for 30+ years, why mess with a good thing. Copyright © Mills pallet Inc. All rights reserved.